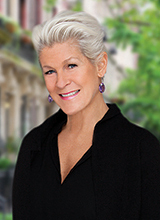 For close to three decades, Louise Phillips Forbes has been an industry leader in New York City’s residential real estate market. With career sales exceeding $3.2 billion, she is considered one of the elite Power Brokers in Manhattan. A multi-time winner of Halstead Real Estate’s esteemed Broker-of-the-Year award, Louise has also been acknowledged many times as the #1 listing broker companywide and currently leads the firm’s #1 sales team. 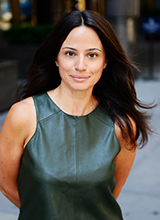 She has developed a significant following among developers, buyers, and sellers throughout Manhattan. From the Upper West Side and Upper East Side to the West Village, Tribeca and Wall Street, she proudly serves prominent New Yorkers. Louise’s experience in both luxury residential sales and in development projects – over 30 to date – has equipped her with the unique ability to fully understand clients’ needs, navigate fluctuations in the market, and negotiate complicated deals ranging from $700k to tens of millions of dollars. Recognized as a highly-dependable advocate for her clients, Louise has built strong relationships and is known for her market insight, careful guidance, passion, and professionalism. She considers herself more of an “educator” than a salesperson. Most recently, REAL Trends named Louise as one of “America’s Best Real Estate Agents,” their greatly esteemed ranking report, and they consistently list her among their annual “Real Estate Top 250,” which recognizes top real estate brokers and teams throughout the country. Louise has also been featured in Avenue Magazine’s annual “Influential Women of New York” and had cover-story honors for House New York and Mann Report Residential magazines. Additionally, she is frequently quoted in real estate articles for The New York Times, The Real Deal, Real Estate Weekly, and many other notable publications and blogs. She has also appeared on regional TV shows nationwide to comment on local real estate issues while representing the national real estate perspective. Louise is a guest lecturer for the Real Estate Board of New York (REBNY) and has been a panelist for the Asian American Real Estate Association’s East Meets West Luxury Real Estate conference, Real Estate Top 100 Mastermind Summit, and the annual Inman News Conference in New York. Likewise, she is a regular contributor to Halstead Real Estate’s Empowerment Programs and Vince Rocco’s “Good Morning New York”, America’s No. 1 online real estate radio show. A resident of the Upper West Side, Louise first came to New York in 1987 from her hometown of Nashville, TN to pursue a career in dance. She knew she had found home and is now balancing work and family as a wife and busy mother-of-two sons, both of whom play hockey. An enthusiastic supporter of the arts, Louise is an active board member for Change for Kids, a non-profit that provides cultural arts programs for inner-city elementary schools, enriching children’s educational experience and path to success. Her years of passionate service captured the attention of Melanie Grayce West, who featured Louise in her prestigious WSJ column, “Donor of the Day”. Furthermore, she is honored to sit on the advisory board for The Bronx Museum of the Arts, as well as Art in General’s Commissioner’s Circle, which provides in-depth support to emerging artists for production of new works. In the past, Louise served on the advisory committee for Habitat for Humanity. For more than 25 years, Richard Johnson has been managing and implementing successful public relations and marketing campaigns for some of the world’s leading luxury lifestyle brands and services, most recently in the interior design industry. He joined forces with Louise Phillips Forbes and found a natural fit in Manhattan real estate, bringing with him a deep appreciation for the architecture and designer details of the city’s most coveted addresses. 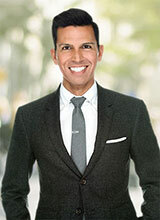 He has an innate talent for promoting and selling high-end real estate for a sophisticated clientele. Prior to joining the Louise Phillips Forbes team, Richard was vice president of public relations for Artistic Tile, a luxury tile brand revered among top interior designers and architects worldwide. Previously, he managed elaborate events, marketing, and PR initiatives in the fashion and beauty industries for Guerlain Paris at LVMH, Calypso Christiane Celle, Clive Christian, Macy’s, VOGUE, and dozens of other premier brands. His familiarity with the aspirations and tastes of stylish and savvy New Yorkers, coupled with a careful understanding of the real estate marketplace, enable him to provide superior service to homebuyers and sellers. 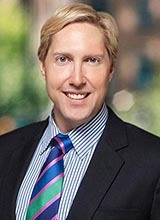 Richard manages the public relations strategy and marketing programs for the team leveraging his professional relationships with a wide variety of domestic and international outlets, including print, online, television, film, and social media, to generate greater awareness of exclusive listings. Clients consistently benefit from his creative talents, like his keen eye for details which combines nicely with his design background to ensure the very best in art direction, showcased in countless photo shoots for listings, property videos, printed marketing collateral, and Louise’s website. He is honored and thrilled to be contributing to the growth and expansion of this highly-successful team. A runner, global traveler, and photography enthusiast, Richard resides in Manhattan in Midtown West. 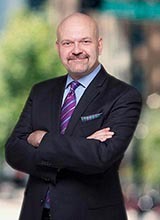 Bradley (Brad) Stuhr is the Business Manager of the Louise Phillips Forbes Team, where he applies his keen expertise managing the daily operations, systems, procedures, and mechanics of this well-respected team of real estate brokers and agents. An architect buff with a passion for drawing floor plans during high school and college, Brad was finally convinced to apply his skills and interests to the residential market in Manhattan by friends working successfully in New York real estate. Enthusiastically, he jumped right in and has never looked back. Brad is a native of Council Bluffs, Iowa, a small town outside of Omaha, Nebraska. He received his B.A. in Accounting from Evangel University in Springfield, Missouri, with a double minor in business management and marketing. Prior to moving to New York, he resided in Memphis, Tennessee and Philadelphia, Pennsylvania. He has been a resident of Hell’s Kitchen in New York City for 20 years. Samantha (SamiDee) Kirson is a New Jersey native with a deep admiration for New York City's cultural impact and the impressive collection of historic and newly constructed buildings that culminate into its infamous skyline. Currently residing in Murray Hill, her dream of calling this metropolis home is now a reality. A recent graduate of the University of Wisconsin-Madison, where she studied Communication Science and Rhetorical Studies, SamiDee's academic and professional experiences have provided her with a knowledge base and skill set that make her an effective member of the Louise Phillips Forbes Team. Warm and engaging, she embodies the ideals of outstanding customer service and is a great asset to have on your side in negotiations. Committed to learning all there is to know about residential real estate, SamiDee works in every aspect of the team from sales and rentals to marketing and administrative support. Her journey is just beginning but she is one to watch. Dedicated to helping her clients achieve their unique goals, Alicia balances her in-depth knowledge of real estate with the personalization and client-service skills she honed as a hospitality professional of 13+ years. Whether working with first-time homebuyers or seasoned investors in re-sale, new development, or renting, Alicia’s personal approach, resourcefulness, and market knowledge assist clients in what could sometimes feel like a daunting process. Alicia is a valuable asset to the Louise Phillips Forbes Team understanding firsthand the importance of providing quality customer service that goes above and beyond. She is enthusiastic about building strong relationships and prides herself on being a people person. Community is her bedrock and she was raised to value the home as a special refuge that provides safety, comfort, and fellowship. It brings her great joy and satisfaction to help others find that haven for themselves, a place where they can create their own memories for a lifetime. Alicia is a proud volunteer with Habitat for Humanity, Animal Haven, and a lover of world travel and exotic destinations. She speaks fluent Spanish and resides in SoHo. 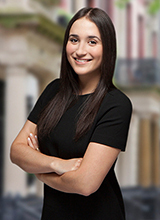 Being born and raised in New York, Beatrice is not only your housing consultant, she is your New York City expert. Before entering the real estate world, she attended the University of Massachusetts Amherst and received a degree in Journalism and Communications. She also studied at the the Institut Catholique de Paris, immersing herself in French culture, where she fell in love with architecture. Beatrice understands the importance of working with someone who cares about your sale, purchase, or rental as you do, and that buying and selling real estate is a big decision that constitutes thoughtful consideration.Her dedication to personalized service from start to finish will insure that you attain your goals, whether that be your purchase, sale, or rental. With enthusiasm and a sharp eye for detail, Beatrice looks out for your best interest and is on your side for all of your real estate needs. In her free time, Beatrice enjoys sailing, painting, going to museums, and trying new adventurous hobbies. With over 18 years experience in Business Development and Client Services in the Financial Services Marketing sector throughout Australia, South East Asia, UK/Europe and USA, and over 14 years experience in the Fashion industry producing runway shows and events, Darryl Nipps has found overwhelming success in real estate during the past several years as an ideal career amalgamating his background, skills and passion for business, design and people! A consummate professional, Darryl is honest, savvy, diligent and sophisticated, yet patient, detailed and compassionate. Darryl’s enthusiasm and sense of humor make working with him a pleasure. He approaches every transaction as if it were for himself and thrives on sourcing and negotiating amazing deals for his clients. Having personally owned four properties in three countries, Darryl directly understands the concerns and needs of both a buyer and a seller and relates to both the challenges and the excitement that are part of the process. Born and raised in Australia, Darryl moved to New York in 2000 and officially declared himself a New Yorker when he hit the decade mark! After living on the Upper West Side, Midtown West, Midtown East, Upper East Side and West Village, he intimately knows the various neighborhood charms across this incredible City. He thoroughly enjoys helping people find new homes that best fit their lives and is proud to be a senior member of the Louise Phillips Forbes team. In his personal life Darryl enjoys dining, socializing and making new friends. With a keen passion for the arts Darryl can often be found taking in the spectacle of Broadway shows, exploring the various art galleries throughout the city and rediscovering the charms of the museums. Following his first international trip at age 8, Darryl made it a life goal to visit as many countries as possible, experiencing new lands, food, people and cultures. He donates his time and talents to organizations such as Broadway Cares/Equity Fights AIDS (BC/EFA) where he serves as co-head of Wardrobe for many of their fundraising events and also serves on the board of the non-profit fashion organization g-Moda as Vice Chairman.